Rivals from across Nebraska came together as a group to battle a common opponent for the gold medal — Iowa — but ultimately fell short, 24-6, to take silver. 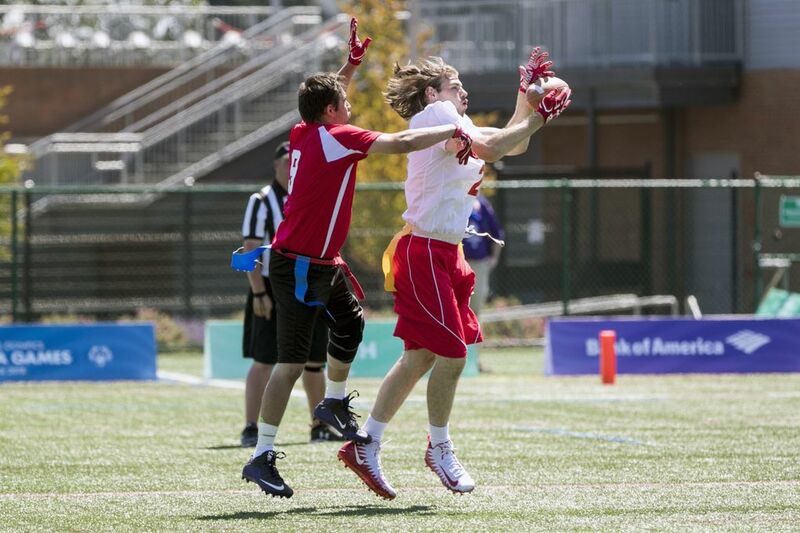 Within the span of a few weeks, the athletes on Nebraska’s Special Olympics flag football team went from being in-state rivals to becoming teammates to becoming silver-medalists at the 2018 USA Games. The formation of the team happened relatively late in the game — about six weeks ago — when coaches Bill Campion and Lenard Hall got word that they had to put together a flag football state team for the USA Games. From there, the coaches, themselves from different parts of Nebraska, pulled Special Olympics athletes from about five different parts of the state. At the team’s first practice, the coaches not only had to begin preparing their players for national competition, but they also had to push their athletes to look past their usual cross-state rivalries. Many athletes knew the others from previously playing against one another in state-level Special Olympics competitions. Players from Papillion, Neb., near Omaha, and Beatrice, Neb., about 40 miles south of Lincoln, players were rivals, as were the players from unified teams from Nebraska towns Minden and Fremont. 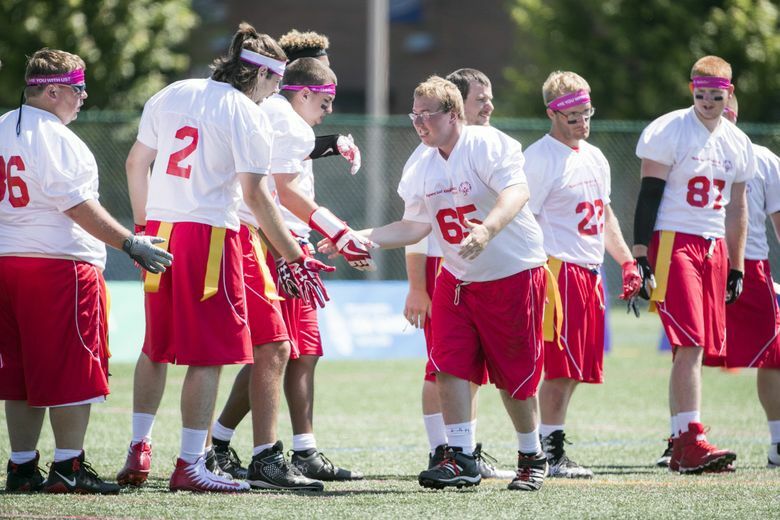 Representing Nebraska this past week in Seattle in a quest for gold, however, was enough to help the athletes come together as a unit — and in doing so, they were able to dominate. Prior to the gold-medal game, the team was undefeated with a win against Idaho and two victories apiece over Iowa and Washington. And now all on the same team, the Nebraska players began to consider Iowa as their common enemy. Nebraska’s luck ran out in the finals, though, where they lost 24-6 to Iowa. They said Iowa had simply outplayed them when it mattered most. But they’ll return to Nebraska with their silver medals in hand and with some new friends — at least when they’re off the field. Alexa Philippou: aphilippou@seattletimes.com; on Twitter: @AlexaPhilippou.